The analysed work programme for the budget year 2018 comprises allocated funding of just over $10 million. Projects were ranked by the Secretariat according to committee rankings and a set of funding criteria. Projects totalling just over $1.3m exceeded the anticipated budget allocation, and are not included in the analysis. Graph one shows the proposed budget according to responsibility by committee. 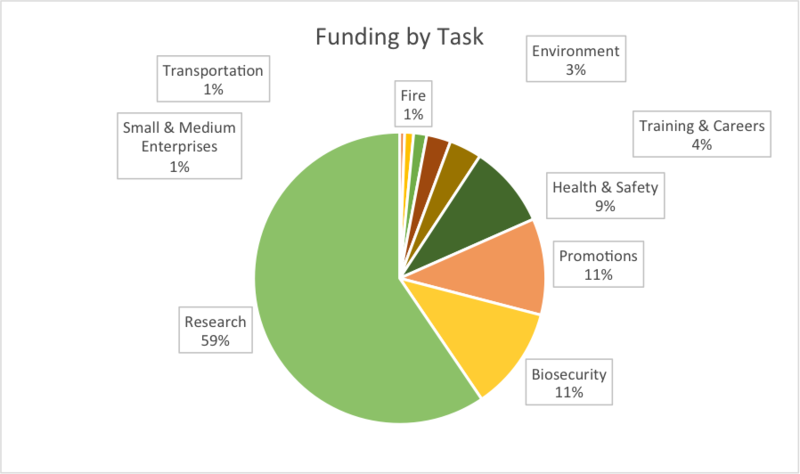 Research dominates funding with an allocation of 59% - just over $5.9m. There were approximately $2m of new research projects proposed. New projects totalling $1,034,000 are in the proposed budget. Biosecurity ($1.15m), Promotions ($1.07m) and Health and Safety ($0.9m) are the next largest categories. 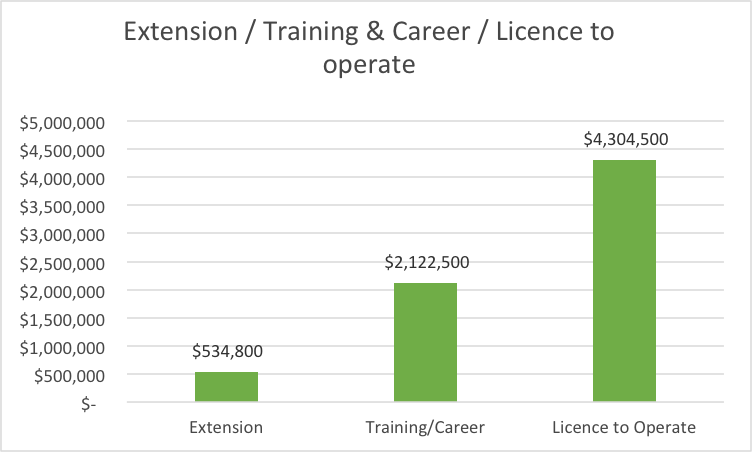 Training and Careers is a new committee bringing together funding previously allocated to this field through promotions, reflecting the increased focus on employment issues as forest activities such as harvesting and replanting have increased substantially. 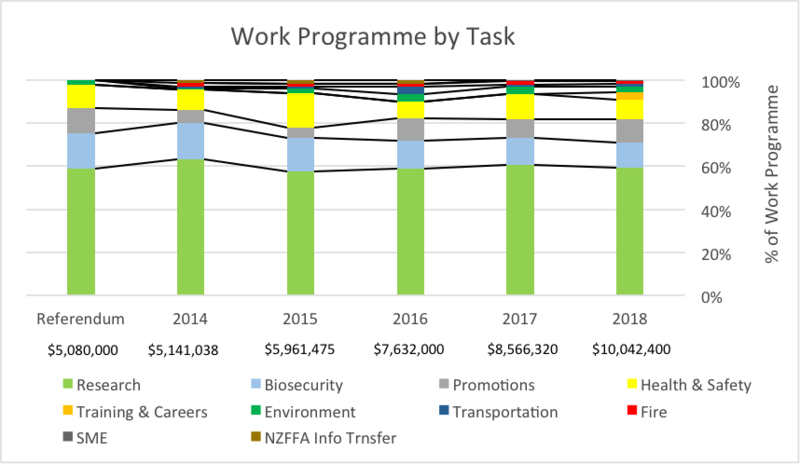 The work programmes by year are presented in graph two, showing the changing percentage of the individual budgets by task. The levy take has increased as the harvest has risen. This has allowed the funds committed to the work programme to increase. 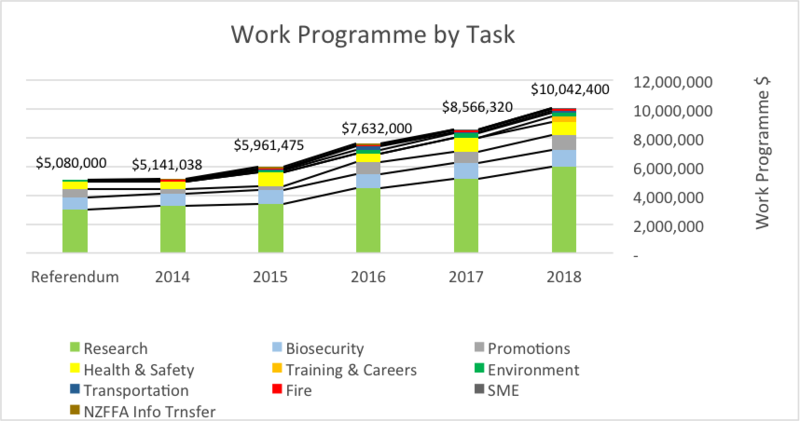 Funding for research in 2014 was $3.3m, while $6.0m has been allowed for the 2018 year – however the % of the work programme budget for research has stayed around the 50% level. Note - there is a new category in the 2018 budget: Training and Careers, reflecting the increasing prominence being directed to the problem of attracting people to the industry and the need to increase promotion of and coordinate, national industry training by a range of training providers. The analysis looks at which sectors (> 1,000 ha and < 1,000 ha) would derive benefit from individual work programme activities. Looking at whether levy spend by activity would benefit just large owners, just small owners or both sets. 85% of levy spend benefits all plantation forest growers, irrespective of estate size. 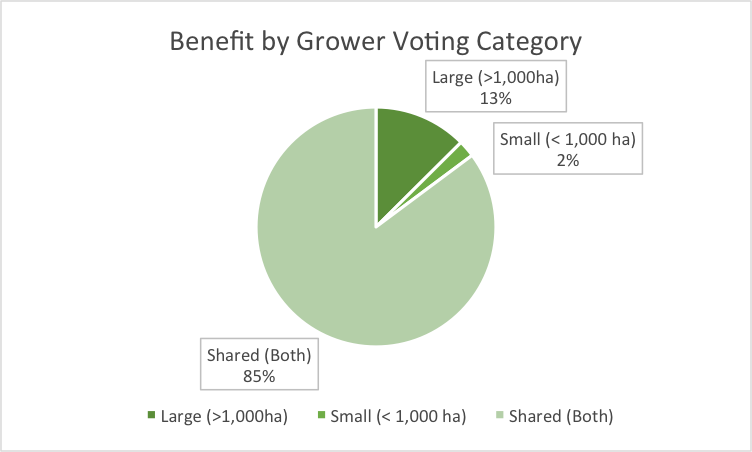 Previously this percentage was 95%, but a major harvest automation project, and landslide geospatial database project are considered to mainly benefit large owners in the short to medium term increasing the large owner category to 13% from 3%. For the 2017 budget, 100% of the current programme had application at the national level. However for the 2018 budget a small number of projects specifically targeted at regional issues have been proposed for the draft work programme. 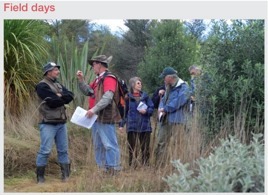 They include Kea Banding, Wilding Management and Northland Totara. Funding for the Mount Albert Grammar School proposal has also been considered regional as the catchment will mainly be upper North Island. 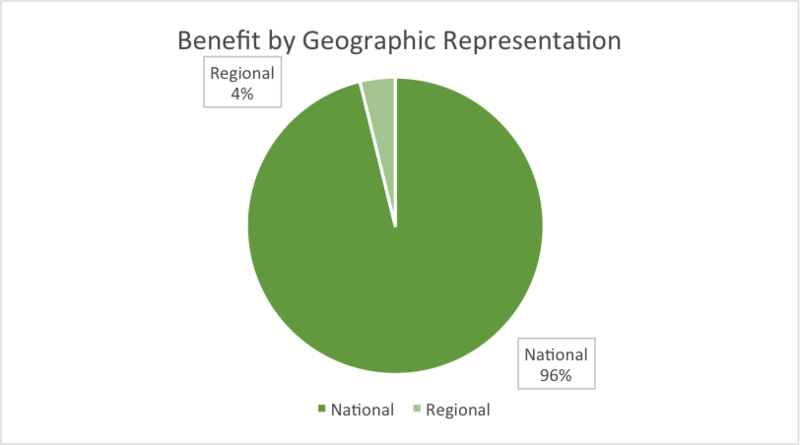 96% of projects having National application reflects the fact that the funding criteria gives greater weight to projects with broad application. 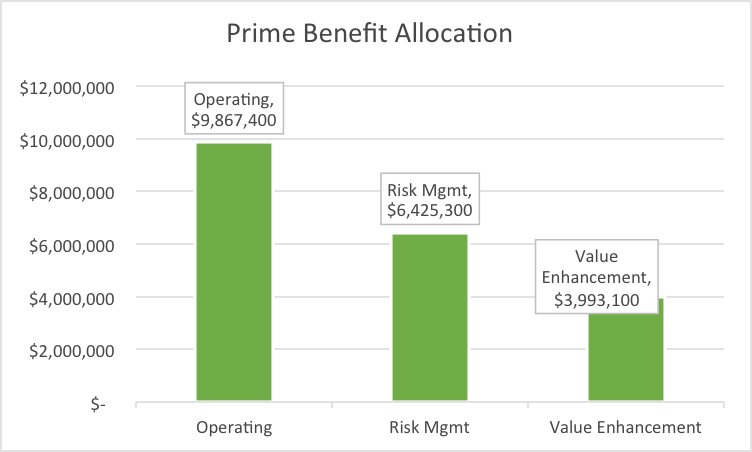 Projects have been grouped depending on whether they provide value enhancement (20%), apply to general forest operations (48%) or to risk management (32%). Individual projects can be in multiple categories. 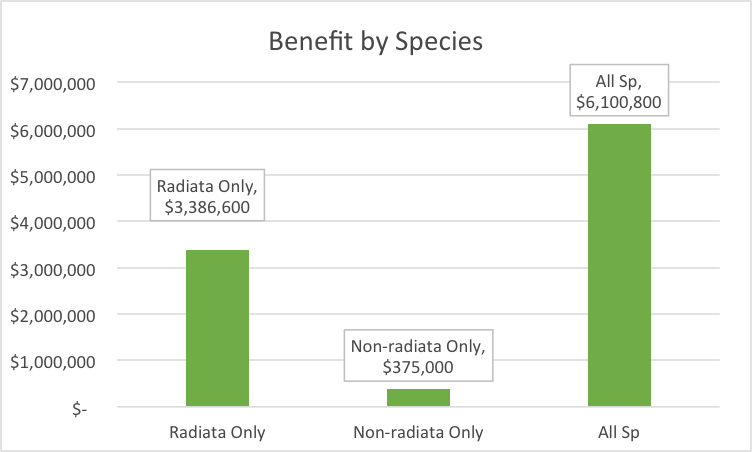 Most projects are not species specific – for example the Forest Health Surveillance scheme which provides benefits regardless of species. 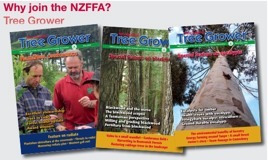 However a small number of projects are species specific such as the Timber Design guides (radiata specific), and the Specialty Wood Species project which by definition (main alternative species to radiata) does not include radiata. Due to ongoing and increasing industry Training and Career issues, a dedicated committee has been funded. In addition to identifying, funding and facilitating Training and Career initiatives this committee will have a major role in co-ordinating the large amount of work already being carried out by a large number of interested parties. Projects often take a number of years to complete and result in funding commitments over multiple years. Some projects comprise creating a model or structure, which subsequently requires ongoing funding to utilise and access the investment payback. Where these commitments are identifiable, they have been outlined in graph eight. Funding commitments from the 2017 workprogram comprised $8.17m (81% of the proposed 2018 workprogram of $10.0m). If funding for 2019 remains similar to that forecast for 2018 ($10.0m), then 73% of anticipated funding is already committed for the 2019 year.